Mandy always knew she wanted to be in the beauty industry. 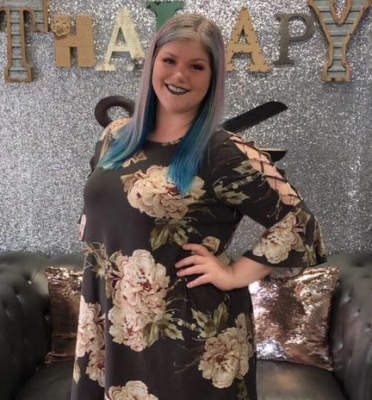 For the past 10 years, she has worked on soaking up all the knowledge available, in order to some day, own a salon with a passionate team, with the same love for beauty. Now, the proud owner of Shear Thairapy Salon and Services, LLC, focuses on superb services, teamwork and customer satisfaction, while also creating a comfortable atmosphere so her clients can relax, laugh and feel at home during their visit. Since graduating from Duvall's School of Cosmetology, she has continued to make her dreams a reality! In order to stay current in industry trends and techniques, she’s attended additional classes on cutting techniques, texturizing, formal styling, color correction and color formulation. Making others laugh and enhancing one's natural beauty are her favorite things to do! 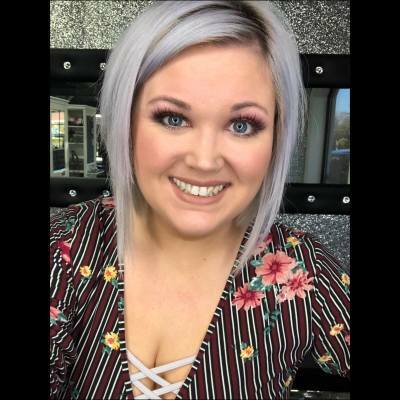 ​​​​​​​​​​​​​​​​Lauren, while not a licensed cosmetologist, is our jack of all trades and co-owner of Shear Thairapy Salon and Services, LLC. She graduated with a Psychology degree from the University of North Texas. Before going into business with Mandy, she served as the Assistant Director for a warranty administration company. She has professional experience in operations, management, corporate training, customer service and quality control. Lauren is driven by her passion for providing smooth and efficient, quality service, through organization and great customer satisfaction. Her empathetic and warm persona will have you feeling like you've known her for years. "Everything you've ever wanted is on the other side of fear. We are so excited to welcome Rachel Brown to the Shear Thairapy team! Her experience, knowledge, insight and uplifting spirit makes her a valuable and essential member of our team. Rachel's passion for the beauty/aesthics industry and providing a quality customer experience has grown into an even bigger passion for branding and business development, particularly with start-up companies. Over the past few years, she has worked first-hand with business owners in the med spa industry to strategically plan, train and develop successful company/brand standards. Quite simply, Rachel believes in the power of positivity. To her, every day presents the chance to make a positive impact, big or small, which makes her a perfect fit for Shear Thairapy Salon! "The future belongs to those who believe in the beauty of their dreams.